You're Probably Asking Yourself, Why tankless? Why not use SCUBA gear? Why hold your breath underwater? Whether you’re enjoying freediving, spearfishing, or just having fun, Apnea Addicts is here for you. Why Tankless? There’s a lot of personal bias involved in answering this one…but the bottom line is that it’s about the “basic human experience.” Why tankless? Why not use SCUBA gear? Why hold your breath underwater? Humans have always been drawn to the ocean. Be it because it holds great beauty, or vast mysteries, we find ourselves connected to it somehow. Exploring these waters as all other mammals on the planet do, in an apneic state, can be a very rewarding experience. With SCUBA, it’s as though we are outsiders, still at the aquarium looking through the glass, observers of the aquatic world. 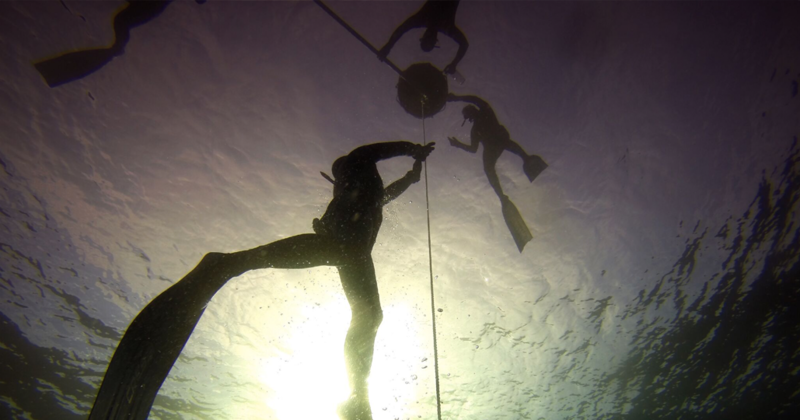 When we explore as apneic divers, we feel a connection, no longer strangers but an active part of a dynamic environment. As we train our bodies to dive deeper and longer, it can almost feel like we are still evolving. Over time our bodies adapt and we find ourselves relaxing as we explore the depths on that single breath of air taken at the surface. Much like a seal, whale, or dolphin, we become part of the aquatic word.